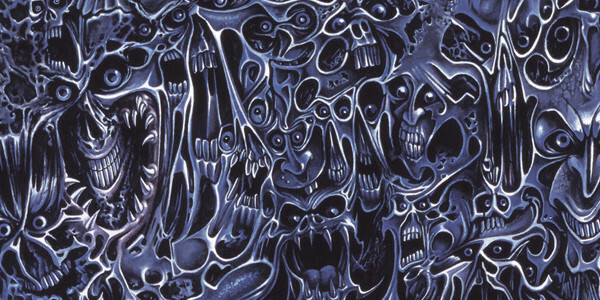 Altars Of Madness is arguably the pinnacle of death metal and one of the finest extreme albums ever conceived. Chuck and Death may have popularised the genre but Morbid Angel chrystalised it, gave it a complete and recognisable identity and produced one of the greatest albums in metal history in the process. How songs with this much groove could be performed in such a non-standard manner still blows minds. Here were unconventional musicians, unafraid, challenging preconceptions and embracing the extreme and yet somehow composing music that invites rather than repels; each track lingers long in the mind and although “Immortal Rites”, “Visions From The Dark Side” and “Evil Spells” are highlights, the entire album is utterly indispensable. Altars of Madness captured the souls of millions of newly-converted death metal fanatics and the flood gates were well and truly open; death metal had arrived……and we can’t live without it!